Chef in Residency: Calcium and Heart Disease - Are Supplements Dangerous? Calcium and Heart Disease - Are Supplements Dangerous? There has been a lot of press lately about a potential link between calcium supplements and heart disease. Getting extra calcium from supplements is supposed to be good for your bones. The latest in a string of studies heightens concern that this simple practice could end up being bad for your heart. The results support growing recommendations to get calcium from food, not pills. The new evidence comes from the NIH-AARP Diet and Health Study, which has followed the health of nearly 400,000 men and women since 1995. At the study’s start, the participants were asked how much supplemental calcium they took. From diet surveys, the researchers also assessed the likely amounts the participants were getting from food. Over 12 years of follow-up, men who took more than 1,000 milligrams (mg) of daily supplemental calcium were 20% more likely to succumb to heart disease than those who didn’t take calcium supplements. There was no connection between calcium supplements and heart disease in women (which has beenseen in earlier studies), and no connection with calcium from food. The results were published yesterday in JAMA Internal Medicine. This one study isn’t enough to find calcium guilty of heart disease in the first degree. It wasn’t a randomized trial, the gold standard of medical research, so it’s possible that other unmeasured factors could account for, or at least contribute to, the link between calcium supplements and heart disease. But it’s not the only research to point the accusing finger. 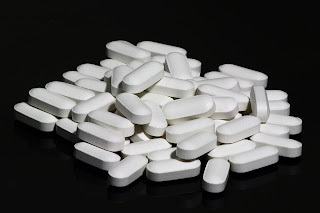 “This is another study looking at high calcium supplements and their effect on heart disease, and it’s starting to get concerning,” says Dr. David Slovik, an osteoporosis expert, endocrinologist, and associate professor of medicine at Harvard Medical School. Everyone needs calcium to keep bones strong. It’s especially important for older folks, in whom the mineral can leach from bones. Losing calcium weakens bones and leaves them more prone to breaking. Vitamin D is the helpmate to calcium, allowing the body to absorb more of the mineral during digestion. Many people don’t obtain enough calcium or vitamin D from natural sources—food in the case of calcium and sunlight in the case of vitamin D. They make up shortfalls by taking daily supplements. Until the calcium–heart disease issue is worked out, it’s best to get as much calcium as possible from food. The menu options go beyond milk and cheese. 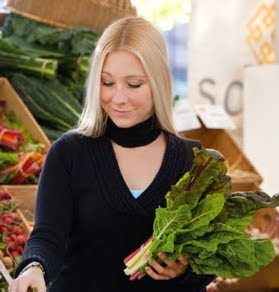 “There are a lot of common foods that people don’t realize have calcium,” says Dr. Michelle Hauser, a clinical fellow in medicine at Harvard Medical School and a certified chef and nutrition educator. The go-to foods for calcium have traditionally been milk (an 8-ounce glass contains 300 mg of calcium) and other dairy foods. But dairy foods often come with saturated fat and plenty of calories, which limits their use for delivering calcium. Dr. Hauser points out that a number of common foods besides milk, cheese, and dairy foods can deliver comparable amounts of calcium. An 8-ounce portion of off-the-shelf orange juice contains about 300 mg of calcium. The calcium in fortified soy milk also compares favorably to whole milk. Breakfast cereals (which are also fortified) contain substantial amounts of calcium, especially when combined with low-fat milk. A portion of oatmeal on its own contains just 100 mg of calcium. “But if you cut up some dried figs and add it to a bowl of oatmeal with milk, you easily get about half of what you need without having any supplements,” Dr. Hauser says. Lunch and dinner afford opportunities to boost calcium. Start with salads with leafy greens like kale, turnip greens, and Swiss chard. “A large salad would contain about as much calcium as a glass of milk,” Dr. Hauser says. But go easy on the spinach—it is high in iron, which tends to block absorption of calcium. If you enjoy sardines and other canned fish with bones included, you are in luck: they are unusually high in calcium. One 3-ounce serving of sardines provides about 325 mg of calcium. An extensive list of the calcium content of hundreds of foods is available for free from the U.S. Department of Agriculture’s website. Since the NIH-AARP participants were surveyed in 1995-1996, efforts have intensified to prevent osteoporosis not just with calcium supplements but also with a nutritious diet and, perhaps most important, regular weight-bearing exercise. “I think we should be a little more cautious about calcium from supplements,” Dr. Slovik says. “I tell my patients they should get as much as possible of the recommended amount from food.” Drs. Slovik and Hauser also emphasize the importance of getting enough vitamin D.
It might seem that popping a calcium supplement is an easy answer to maintaining bone health. But it comes with an uncertain risk of heart problems, and denies you the nutrients that hitchhike along with calcium in whole foods.